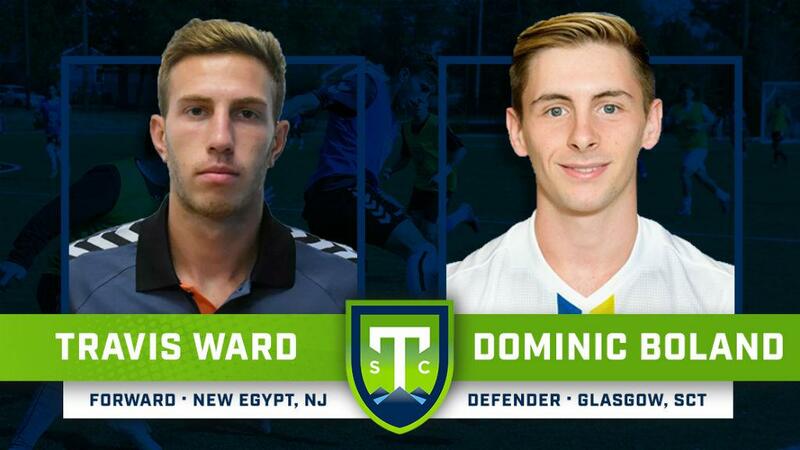 GREENVILLE, S.C. – Greenville Triumph SC added a pair of players to its inaugural roster on Wednesday as the club announced the signings of forward Travis Ward and defender Dominic Boland for the 2019 USL League One season, pending league and federation approval. Ward spent four collegiate seasons at Rowan University in Glassboro, New Jersey, scoring 29 goals and 16 assists in 70 career appearances. He was named to the New Jersey Athletic Conference All-Conference team three times before graduating in 2017. The New Jersey native joins to the Triumph after spending the 2018 season with the Philadelphia Fury, where he scored four goals and assisted five more in 10 appearances. Boland, a Glasgow, Scotland native, recently completed two seasons at Limestone College in Gaffney, South Carolina. In 2017, he earned Second Team All-Conference honors while helping the Saints claim Conference Carolinas regular season and tournament championships. In 2018, Boland helped Limestone repeat as regular-season champions before joining North Carolina club Asheville City SC.